THAT 30 unlicensed bus drivers were arrested on Saturday during Road Transport and Safety Agency’s road inspections in Lusaka is not only commendable but a necessary move to restore sanity on roads and subsequently save lives. 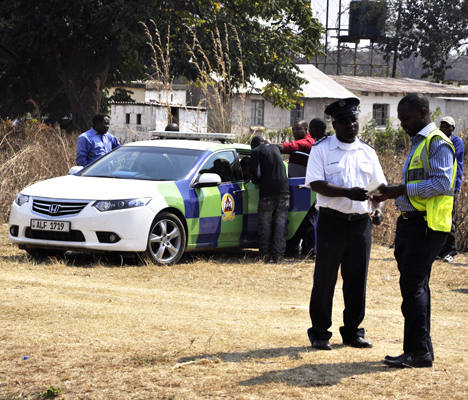 During road inspections in Matero and Kanyama townships on Saturday, RTSA chief executive officer Zindaba Soko said the number of unlicensed drivers on public roads is a time-bomb waiting to explode. “At the rate at which people are dying in road traffic accidents, there will be no population in Zambia in the next few years. Just in a period of two hours, we have impounded 30 unlicensed drivers,” he said. The number of unlicensed drivers arrested in a period of only two hours is not only alarming but a tip of an iceberg. As observed by Mr Soko, it is indeed a bomb waiting to explode. It is also a strong indicator of the levels to which as a country we have embraced the lawlessness of bus drivers. While many other motorists may be guilty of unlicenced driving, it is indisputable that this behaviour is more common among bus drivers. The high number of unlicensed bus drivers certainly explains the levels of traffic regulations’ insolence among this group. Though not every bus driver is deviant, it is undeniable that majority of them are known for how they defy traffic rules with impunity. Bus drivers are known for over-speeding, dangerously cutting in between other motorists and changing lanes. They see nothing wrong with using pavements if that is what will save them from congestion. They are also known for indiscriminately stopping and parking at undesignated places. Most bus drivers have no regard for their passengers and other road users. In all this, bus drivers demonstrate no regard for the Highway Code, which is a guide on how to use roads. Needless to say, how can they know the Highway Code if they have never been to any driving school let alone to Mimosa for a driving test, which is the determining point whether they qualify to drive. These drivers certainly deserve to face the wrath of the law for defying traffic regulations by driving without licences and putting people’s lives at risk. We know that incompetent driving which leads to violating various traffic regulations poses a huge risk to other road users. So many people have been injured or have died in road accidents not because of their own making but another motorist’s negligence. The high number of bus drivers who do not understand the Highway Code certainly explains the high rate of accidents the country is grappling with. In 2017, over 30,163 road accidents were recorded in which 1,989 lives were lost. In the second quarter of 2018, about 7,713 road accidents were recorded and 487 people died. We therefore support RTSA in saying the bad behaviour by bus drivers cannot be condoned because Government is losing a lot of money on medical bills and funeral expenses for accident victims. As a developing country, we need this money to be channelled to other needy areas with potential to spur development. While drivers should answer for their sins, we believe most of them, if not all, do not own the vehicles they drive. How then do owners of these buses entrust them in the hands of unlicensed drivers. This poses a huge risk to their property and other road users. One just needs to take a cursory look on intra-city buses; most of them have serious dents due to careless driving. If owners do not mind damages to their vehicles, they certainly have a responsibility to care about other road users whose lives they risk by engaging unlicensed drivers. Bus owners should, therefore, also be held accountable. Members of the public, especially those that use public transport, should also be proactive and report truant drivers. For the 30 drivers arrested, let the law take its full course to deter would-be offenders.